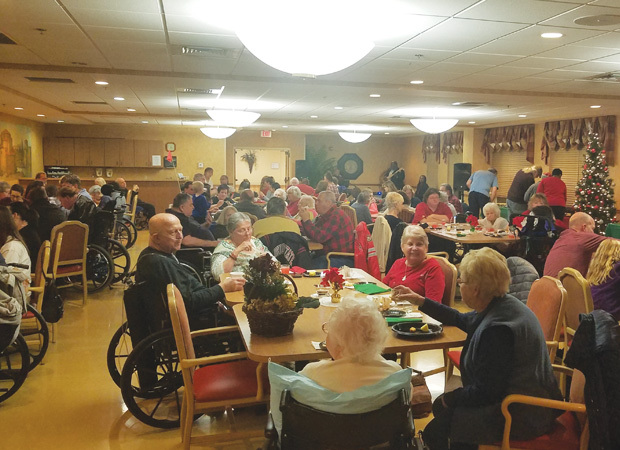 We had lots of fun celebrating the holiday season with our Annual Tuscany Gardens Holiday Dessert Hour. It was a blast for our staff, residents, families, and friends as we enjoyed fresh fruits, cheeses, cocktails, and over 24 different varieties of desserts! We would also like to thank the Vernon Hairston Trio for playing such beautiful music for all of our special guests to enjoy. Happy Holidays to all! Tuscany Gardens and its parent company, Foundations Health Solutions, strive to be a "Culture of Care" - in every aspect of what we do. Whether physical health and rehabilitation or nurturing relationships and community, we aim to cultivate strong and healthy lives. Founded by Brian Colleran, Foundations Health Solutions is Ohio’s premier long-term care company. Formerly doing business as Provider Services, our team of experts has more than 15 years of experience successfully supporting over 100 multifaceted long-term care facilities.